Ancient secrets, sandblasted ruins, and unprecedented horrors await in Under the Pyramids! 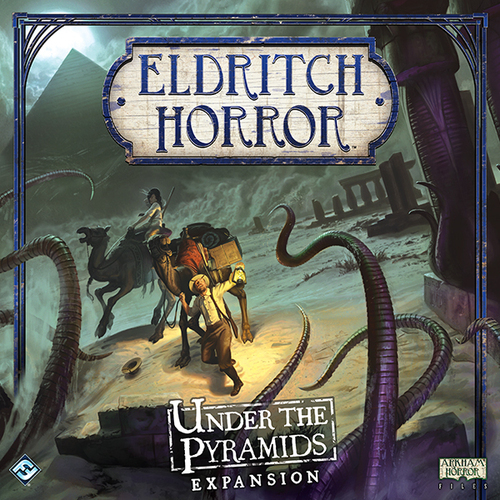 This side board expansion opens up six new locations throught Egypt, including bustling Cairo, ancient Tel El-Amarna, and the shining, snaking, Nile River. Yet the Egypt of the 1920s is hardly a safe tourist destination. Amid the cultural tumult and political instability of this modernizing African nation, countless Cultists are working to bring about the return of an ancient and powerful evil known as the Dark Pharoah. If he should rise up to rule Egypt once more with his iron will, he would doom all humankind to wretched, cruel slavery. 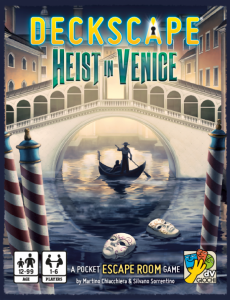 Deckscape: Heist in Venice is the third title in a series of cooperative games inspired by real escape rooms in which a group of people is "trapped" inside a room full of puzzles and odd items. 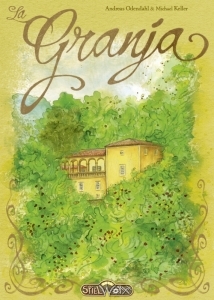 The goal of the game is to solve puzzles, understand the plot of the story, and make intelligent use of the items provided in order to exit from the room as quickly as possible. In Deckscape: Heist in Venice you are professional thieves, now retired, but a mysterious missive forces you to reunite the old gang. The mission: sneak into the oldest casino in the world, in Venice, and steal a 1 billion euro chip! Each of you has specific skills and abilities, and if you stick to the plan everything will be fine. 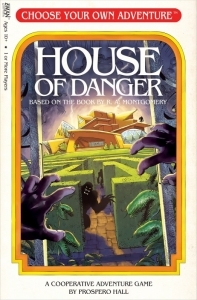 Although, yours is a risky job, and an unexpected event could compromise the whole mission... Can you overcome the intricate security systems of the casino and then run away with the loot?